President Donald Trump is expected to approve the 2018 Farm Bill that could open the gates to making industrial hemp a multibillion-dollar crop in America. Earlier this month an enormous spending bill in the amount of $867 billion was passed by the House of Representatives and the Senate earlier this month, fund everything from food assistance programs to crop research and technologies. The bill awaits the president’s signature. The bill would remove hemp from the list of controlled substances and legalizes its production for the first time since 1937. The Farm bill paves the way for making industrial hemp a conventional agricultural crop. Northern California hemp growers and processors applauded the legislation, saying it provides a significant step in the right direction for growth in what has been a taboo industry. Reports predict the hemp and myriad products can be made into general revenue over $20 billion annually by 2020. 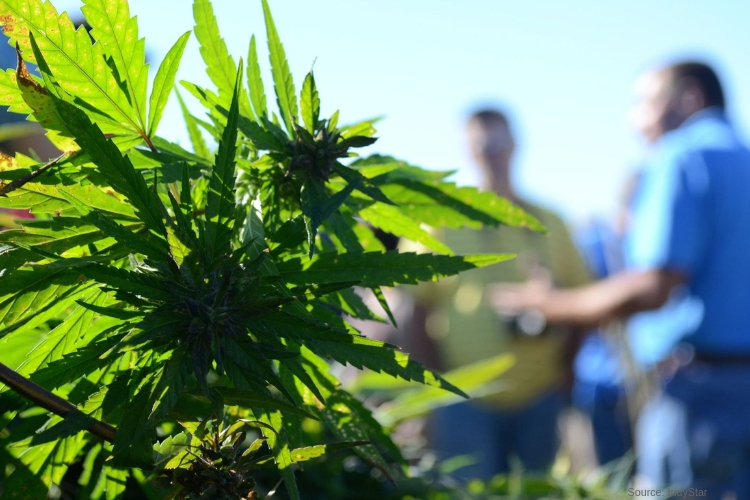 California farmers are especially happy to capture the opportunity within the hemp industry. According to The California Department of Food and Agriculture, they are in the process of finalizing the regulations that will allow for the growing of hemp in the state. The public has until December 24th to submit any written comments or concerns. Multiple San Joaquin Valley and Sacramento farmers have also shown quite an interest in growing hemp to produce oil and fiber. Products containing CBD are popping up in every store around the country. CBD or cannabinoid is a chemical compound that comes from the hemp plant. Experts and supporters of CBD products believe it is a remedy for pain relief, anxiety and inflammation. People who work closely with the product argue that the legalization of hemp products will go a long way towards changing the stigma of what hemp isn’t and show what hemp is. The report states, Industrial hemp is very low in THC, the chemical compound that makes you high. By federal law, the THC level of industrial hemp must be at or below 0.3 percent of THC in comparison to some strains of marijuana, which can vary from 10 to 30 percent THC. Many of the products available also contain zero levels of THC for patients who are subject to regular drug screening. Although not everyone is in favor of the new Bill, The Drug Policy Alliance, one of Americans most aggressive critics for cannabis legalization, did not take a position on the farm bill according to NBC. However, they did try to strike language that prohibits people with drug convictions from being employed in the industry for ten years. “It would no longer be controlled under the DEA’s purview,” as stated by U.S. Drug Enforcement Administration spokeswoman Mary Brandenberger. The Recover is an unbiased substance abuse and mental health news provider. Helping individuals looking for the right treatment programs in their area. Also providing information on Sacramento drug rehab centers for addiction recovery.